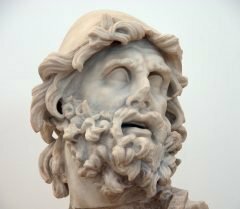 Sadly, Robert Bittlestone, the lead author of ‘Odysseus Unbound: The Search for Homer’s Ithaca’ and the founder of the ‘Odysseus Unbound’ (OU) project died on 4 May 2015. Robert’s infectious enthusiasm, boundless energy, brilliant insights and inspirational leadership will be sorely missed. His colleagues are determined to carry forward the ground-breaking work that he began and bring it to a successful conclusion. He will be hugely missed by his family, friends, colleagues and the wider OU network, to all of whom he will remain a constant inspiration. Robert was educated in classics and science before reading economics at the University of Cambridge. In 1979 he founded Metapraxis Ltd with the goal of helping large complex businesses improve their management information and board reporting. Today Metapraxis is a leader in strategic planning, financial analysis and data visualisation. In 2002 Robert returned to his love of the classics and he applied his management, organizational and visualization techniques to solving the age-old mystery of the location of ancient Ithaca. The publication of ‘Odysseus Unbound: the Search for Homer’s Ithaca’ in 2005 was greeted with accolades for the intellectual and investigative process he employed, in collaboration with his co-authors, and for the engaging, thorough and lively way he laid out the hypothesis and supported it with compelling evidence and analysis. 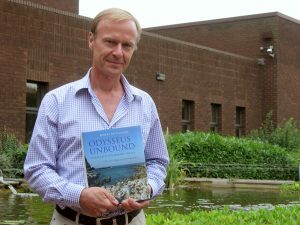 The publication of ‘Odysseus Unbound’ was only the start of the journey and Robert led the way over the next ten years in recruiting sponsors and supporters to test out the hypothesis using the most sophisticated tools available to geoscientists. This research has steadily strengthened the arguments in favour of the case. Read some of the Tributes to Robert.